These little birds are a really fun introduction to needle felting, suited to beginners or those with some prior experience wishing to develop their skills. You will be shown how to create basic shapes, mix and blend colours and how to use a reversing needle to create fluffy textures for the bird’s body. All the materials and equipment you will need on the day will be provided and there will be an opportunity to purchase needle felting materials and equipment at the end of the day so you can continue at home. Tea, coffee and biscuits will be provided but please bring a packed lunch. Come and spend the day making a fabulous needle felt hare. The course is suited to beginners and those with prior experience alike. You will be shown all the techniques you will need including how to create and join shapes, felt around a wire armature, blend colours and add character and detail using the finest wool fibres. All the materials and equipment you will need to use on the day are included, and there will be an opportunity at the end of the day to purchase needle felting wool and equipment so you can continue at home. Tea, coffee and biscuits will be provided but please bring a packed lunch. This workshop is perfect for beginners and those with prior experience and includes all the materials and equipment you will need on the day. You will be shown all the skills you need including how to create and join different shapes, use a reverse needle, blend colours, felt around wire and how to add character and detail to create your own adorable scruffy dog. There will also be an opportunity to purchase your own materials and equipment at the end of the day to enable you to continue at home. Tea, coffee and biscuits will be provided but please bring a packed lunch. Come and spend the day making bunnies and chicks. This course is suited to beginners and those with prior experience alike. You will be shown all the techniques you will need including how to create and join shapes, felt around a wire armature, blend colours and add character and detail using the finest wool fibres. All the materials and equipment you will need to use on the day are included, and there will be an opportunity at the end of the day to purchase needle felting wool and equipment so you can continue at home. Tea, coffee and biscuits will be provided but please bring a packed lunch. Come and spend the day making a fabulous needle felt Baby Orangutan. This course is suited to beginners and those with prior experience alike. You will be shown all the techniques you will need including how to create and join shapes, felt around a wire armature, blend colours and add character and detail using the finest wool fibres. All the materials and equipment you will need to use on the day are included, and there will be an opportunity at the end of the day to purchase needle felting wool and equipment so you can continue at home. Tea, coffee and biscuits will be provided but please bring a packed lunch. Come and spend the day making a very dapper fox-head. You will be shown all the techniques you will need, blend colours and add character and details using the finest wool fibres. All materials and equipment you will need to use on the day are included. Tea, coffee and biscuits are provided but please bring lunch. 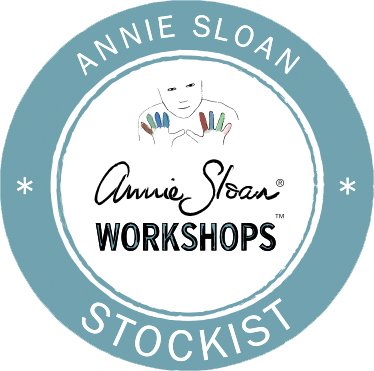 Workshops run on selected days from 10.30-4pm. Workshop costs £45. To book your Place, call us Today.